Aleister Crowley – The Beast 666 – MI6 Agent? The name Aleister Crowley is always certain to exacerbate an intriguing myriad of reactions from both dedicated Occultists and those with merely a casual acquaintance with the arcane alike. The self-styled ‘Great Beast 666’ continues to cast his influence over the contemporary New Age movement, as well as the artistic world, many years after his death in 1947. 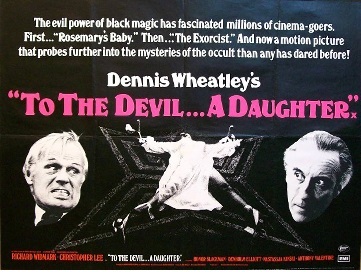 Mysterious, eccentric and with talent in abundance, Crowley is both revered and detested in equal measure. Indeed, such a complex personality always makes for ‘good copy’ and it is small wonder that numerous texts have been produced over the past sixty years focusing primarily on Crowley’s colourful lifestyle and his profound interest in Occultism (or Magick as he preferred to call it: ‘the Art and Science of causing Change to occur in conformity with the Will’). I have been fortunate to have read several biographies of this mythical figure, as well as Crowley’s ‘Confessions’. All these offerings have been most illuminating, but in my opinion Lawrence Sutin’s ‘Do What Thou Wilt: A Life of Aleister Crowley’ offers the most objective, balanced and well researched piece of investigative work to date. The purpose of this article is certainly not for me to expound a character reference of Crowley (there is ample opportunity for those interested to formulate their own opinion in the local library or bookshop) but to draw attention to a refreshing and insightful piece of investigative work by Richard B Spence. Several years ago Channel Four ran a series of documentaries entitled ‘Masters of Darkness’. These focused upon the familiar rogues gallery of historical ‘villains’ one is likely to encounter in any compendium of the weird and the wonderful: the Marquis de Sade, Dr John Dee and, of course, Aleister Crowley all featured. 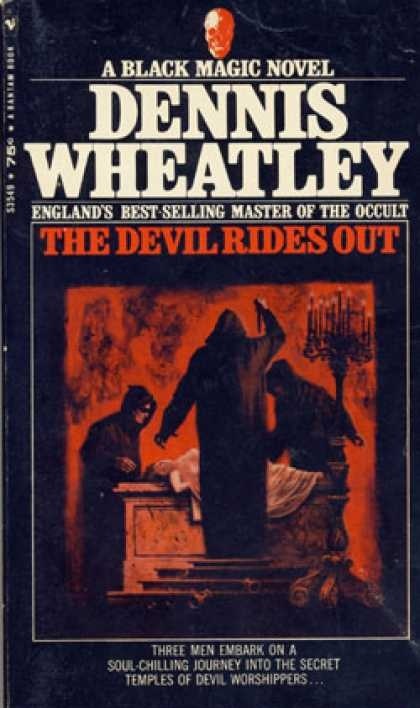 I was amazed that Crowley was branded a ‘traitor to the British people’ by the narrator having been made aware of his involvement within the secret services of Her Majesty’s realm during a conversation with a prominent occultist many years ago. Thus, I was most intrigued to learn of the publication of a text dedicated entirely to his activities within the world of espionage and counter-espionage. Meticulously researched and engaging, Spence sets out his intentions from the onset: ‘this book is not intended as a general biography of Crowley nor in any way a treatise on his writings and thought, and it takes no position on the reality of magic and the supernatural’. Furthermore, Spence very correctly deduces that ‘the same magical retreat may be both essential to the health of the spirit and useful as a cover for spying’. This was most certainly the case for Dr John Dee during Elizabethan times and Crowley who, as a student of Cambridge University and as a member of the Golden Dawn, had access to many of the most influential artistic and political figures of his generation. In essence, it would have been extremely foolish for the British secret services not to have utilised someone of Crowley’s pedigree and caliber during the turbulent times of World War One, the uncertain inter war years, and the calamity of the Second World War. Spence’s research into Crowley’s activities in New York during the First World War is captivating, and he invites us to appreciate how instrumental Crowley was in influencing the emerging super power to support the British war effort against the Kaiser. American sympathies very much hung in the balance between British and anti-imperialist (primarily Irish and German interests against Britannia) during this critical period. Spence also sheds light upon Crowley’s involvement with the Lusitania disaster, which will be of great interest to conspiracy theorists; the sinking of which ultimately drew the Americans into the conflict on the side of the British Empire. The reasons for Crowley’s seemingly bizarre decision to establish an occult commune on the island of Sicily are also addressed. Spence puts forward strong evidence to suggest that he was in fact spying for the British government on both the French military and the Italian fascists. Indeed, such a strategic position in the Mediterranean would have rendered Crowley an excellent accessory for the British security services. This section of Spence’s work also compliments the account provided to me by the gentleman I spoke to several years ago. Mussolini’s decision to expel Crowley may have not been solely for his much publicised occult practices and more so on account of his involvement with the shadowy embryonic machinations of MI6. 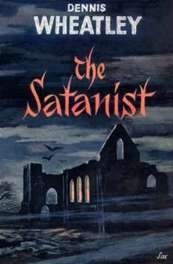 Crowley’s influence and involvement within various German occult groups during WWII would most certainly have been appreciated by MI5 and MI6 alike. Indeed, Spence notes that on the outbreak of hostilities, Crowley ‘completed form for NID’ (British Naval Intelligence Division) and raises questions on his involvement with the Rudolf Hess affair. This episode has been previously visited by Amado Crowley in his work ‘The Riddles of Aleister Crowley’ and once again parallels the account I was provided with by a prominent occultist. Whatever the truth, we can rest assured that Crowley would most certainly have been considered a useful appurtenance in the fight against Nazism by the British security services. Indeed, Crowley himself did take credit in suggesting the famous ‘V for victory’ sign which was famously used by Churchill during the early 1940s. Spence deserves a considerable amount of credit for producing such a well-researched and captivating text. One might say that it is a thankless task to paint a figure of notoriety such as Crowley in a more positive light, but this is an essential piece of academic study which will doubtless draw much more critical acclaim. 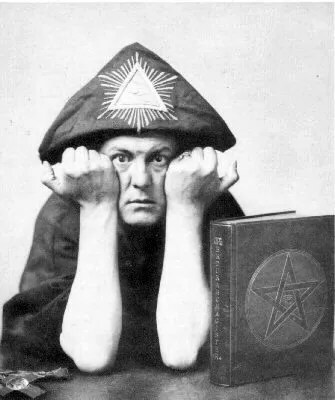 The author has clearly spent a substantial amount of time researching British and French governmental archives, as well as a diverse range of extraneous sources, to provide an incredible profile of Aleister Crowley which has, until now, remained hidden from the public gaze. 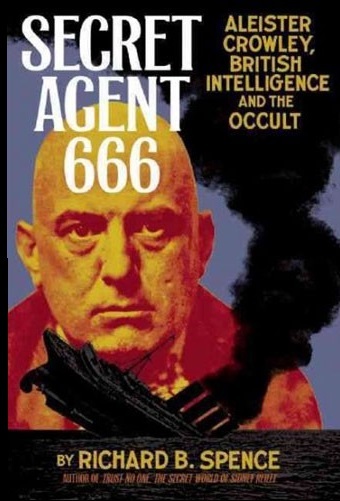 For anyone with an interest in Aleister Crowley, ‘Secret Agent 666’ is essential reading and will not only expand one’s awareness of this extraordinary colossus of occultism, but greatly extend the reader’s appreciation of history and the shadowy political underworld during the tumultuous period of the early twentieth century. Is the earth hollow? Are their worlds within our world? Was Jules Verne privy to spectacular occult knowledge? Like some veiled demon conjured up by a black magician, the belief in a hollow earth is one of the most intriguing of the various occult mysteries. The hollow earth theory is a mind-shattering proposal that there are gigantic holes at the north and south poles. These polar openings lead to a vast, unknown world inside the center of the earth. Some believers also claim the earth is honeycombed with a vast network of subterranean tunnels that lead down into an inner world. Hollow earth theory has drifted out of the occult mainstream in recent years and, understandably, is often scoffed at or just simply ignored, by both sceptics and advocates of the paranormal alike. The notion that the inner realms of our planet may in fact be domicile to large cities populated by hitherto undiscovered beings is just simply too ridiculous for many to even consider. Indeed, the scientific axiom of the layered earth, from crust to mantle to inner and outer core, is one of the first theories any curious child will learn about when reading even the most rudimentary of encyclopedias. However, is it not always interesting and exciting to challenge accepted mainstream knowledge, even if our rational selves may oppose this impulse? Why is it that many cultures throughout the ages have espoused some sort of belief or body of folklore which speaks of a curious world within our world? Does this elusive shadowy zone simply exist in a metaphysical sense, or is it something entirely tangible which the intrepid may care to visit? It is very interesting to note that recent scientific studies regarding the composition of the earth’s core remain inconclusive and we are constantly reviewing our rather limited understanding of the structure of our planet. In truth, it would appear that we know more about the surface of the moon, than the deepest, darkest recesses of our own world. With this in mind, I was intrigued to chance upon a copy of ‘This Hollow Earth’ by Warren Smith. I had read about this theory in the past and it has always interested me. Smith certainly provides food for thought and this text will stimulate anyone who wants to learn more about this rather outlandish of theories. The opening chapter whets the reader’s appetite as secret tunnels under the pyramids, UFOs from within the earth, the curious tale of Olaf Jansen (a Scandinavian sailor who claimed to have met the ‘Under-People’ within the earth), and stories of explorers’ bizarre experiences in polar regions are highlighted. Were the men simply hallucinating or does this account raise interesting questions regarding the existence of sinister subterranean beings? Agharta is a subterranean land located deep within the centre of our planet. The Buddhists believe there are millions of people living in this underworld paradise. These Tibetan tunnels are just part of a honeycomb of tunnels linking many parts of the world. The mysterious lure of the Orient and the prospect of a revelation of truth has enticed many western mystics, occult scholars and religious groups for centuries. Indeed, the Nazi’s fascination with a possible pathway to an inner world via the Himalayas or North Pole is also addressed by Smith. Hitler’s occult beliefs are well documented, and there are accounts of several expeditions which were sent to explore Hollow Earth theory and find hidden tunnels during the period of the Third Reich. The Luminous Lodge of the Vril society drew inspiration from Edward Bulwer-Lytton’s work entitled ‘The Coming Race’ which was published in 1871. The prospect of establishing contact with a powerful race of supernatural beings within the inner earth, whose beliefs and social structure appeared to compliment those of Nazi ideology, clearly struck a chord within the German high command. Increased occult knowledge and power would surely provide the Nazis with an advantage over their enemies and they were clearly prepared to explore a variety of options (no matter how tenuous) to obtain this. 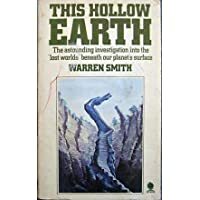 ‘This Hollow Earth’ may not be a classic of occult literature, but it can most certainly be appreciated and enjoyed by anyone who is curious about this peculiar theory. It raises some interesting questions and invites the reader to continue study within this fascinating area. Since its publication in 1972, there have been a variety of texts and articles written about the possibility of a world within our world. Notable contemporary writers who espouse this idea include the English author David Icke. This text is readily available on Amazon and vends for around £4. For more information about the author, visit David’s magical website: Magic and Illusion.